Building design and building information modeling (BIM) software includes computer-aided design (CAD software) products used commonly within the architecture and construction industries. Many of these products offer tools and libraries specifically targeted toward architectural design and construction, including mechanical, electrical, and plumbing (MEP) and building information modeling (BIM). BIM software offers a model-based process for designing and managing buildings and infrastructures, going beyond construction drawings to generate a digital representation of the functional properties of a facility. Other products in this category may be used for a range of CAD purposes beyond architectural design, but their rankings within this grid focus exclusively on their use as a tool in building design. For more information about general-purpose CAD products, which include a broad range of 2D and 3D drafting and modeling tools, see our General-Purpose CAD software category. For additional information about product and machine design tools, see our Product and Machine Design software category, and for more information about civil engineering design products, see our Civil Engineering Design software category. Building Design and Building Information Modeling (BIM) reviews by real, verified users. Find unbiased ratings on user satisfaction, features, and price based on the most reviews available anywhere. Autodesk® Revit® software is built for Building Information Modeling (BIM), helping professionals design, build, and maintain higher-quality, more energy-efficient buildings. Using the information-rich models created with Autodesk Revit software, architects, engineers, and construction firms can collaborate to make more-informed decisions earlier in the design process to deliver projects more efficiently. Any design changes made in Revit models are automatically updated throughout the model, keeping designs and documentation coordinated and more reliable. Autodesk Revit includes features for architectural design, mechanical, electrical, and plumbing, structural engineering, and construction, providing a comprehensive solution for the entire building project team. ARCHICAD is the leading Building Information Modeling (BIM) software application used by architects, designers, engineers and builders to professionally design, document and collaborate on building projects. 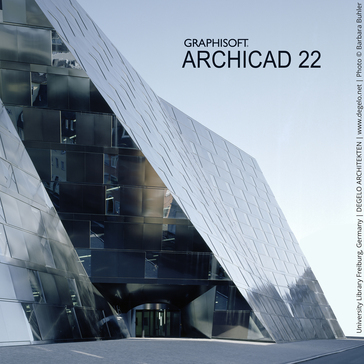 Since its release over 30 years ago, ARCHICAD has been all about BIM. In this introductory video, learn what BIM is, and why ARCHICAD is the obvious choice of so many AEC industry professionals worldwide. ARCHICAD 21 introduces the highly-anticipated Stair Tool, featuring GRAPHISOFT’s patent-pending Predictive Design™ technology. ARCHICAD 21’s Stair Tool does the heavy lifting in the background – making sure the architect’s stair design complies with relevant global and local design standards – turning what is usually a painful task into something fun. We also further refined ARCHICAD’s best-in-class OPEN BIM workflows in version 21, making interdisciplinary collaboration a very smooth process. AutoCAD® Architecture software is the version of AutoCAD software specifically for architects. Vectorworks Architect is the industry’s only BIM modeling, drafting and documentation software built with the design process in mind. As the architect’s BIM tool, the software enables you to tackle complex ideas in 2D and 3D, refine construction details, increase your energy efficiency and streamline costs. Additionally, high-quality renderings can be created with ease and directly inside files thanks to default textures within thousands of Vectorworks content library objects and our easy-to-use Renderworks features. Learn how Architect empowers designers to transform the world like never before at www.vectorworks.net/architect. Civil 3D civil engineering design software is a civil design and documentation solution that supports Building Information Modeling (BIM) workflows. MicroStation’s advanced parametric 3D modeling capabilities enable infrastructure professionals of any discipline to collaborate on and deliver projects of any scale and complexity. Your team can aggregate their work on MicroStation, including designs and models created with Bentley’s discipline specific modeling applications. As a result, you can create comprehensive, multi-discipline BIM models, documentation, and other deliverables. MicroStation and all Bentley BIM applications are built on the same comprehensive modeling platform. You therefore can easily progress your MicroStation work into discipline specific workflows with Bentley’s design and analytical modeling applications. With this flexibility, each member of your project team has exactly the right application for the work they need to do. DataCAD is a professional-level Architectural CADD program for design, presentation, and documentation. DataCAD is one of the few software applications that are developed specifically for Architects, and it is the only CADD software ever to be endorsed by the American Institute of Architects (ca. 1987). Originally developed by an architectural firm more than 30 years ago, DataCAD is one of the stalwarts of the CAD industry. Revit Live cloud service turns Revit models into an immersive experience, helping architects to understand, explore, and share their designs. Revit Live is only available in the Architecture, Engineering & Construction Collection. AutoCAD® MEP software helps you draft, design, and document building systems. Navisworks is a project review software designed to allow architecture, engineering, and construction professionals to review integrated models and data with stakeholders to better control project outcomes. Experience intuitive Building Information Modeling (BIM) with Revit LT™ software. Produce high-quality 3D architectural designs and documentation using BIM software that uses a coordinated, model-based environment. We provide software tools, web solutions and services to assist our customers in the creation, conversion and publishing of BIM objects on the web and create a straight path to the users of any BIM software. Vectorworks Landmark software offers tools geared toward streamlining landscape-specific design and BIM workflows. Landmark’s intelligent tools, such as plants, hardscapes, terrain models, automated irrigation tools, powerful databases and flexible documentation features, will help you produce 2D drawings and 3D models to easily design, analyze, present and collaborate on projects. Applying geodesign processes in the planning of built and natural environments is simplified with integrated GIS file management. Additionally, high-quality renderings can be created directly inside a Vectorworks design file thanks to default texture and render settings within Vectorworks objects and Renderworks features. Learn more at www.vectorworks.net/landmark. IrisVR is the leading software for immersive design review and collaboration in virtual reality. It is used by BIM and VDC teams, design firms, and engineers who coordinate 3D models and implement design and construction processes. Because IrisVR integrates with Revit, Rhino, Navisworks, SketchUp, and other 3D tools out of the box, you can instantly create an immersive VR experience that allows you to present to clients and work more effectively with your team. IrisVR offers a desktop product called Prospect that works with the HTC Vive, Oculus Rift, and Windows MR headsets, as well as a mobile product called Scope that is compatible with the Samsung GearVR, Google Daydream, and Cardboard. Both products have a 45-day free trial, which you can start at www.irisvr.com. Ecotect Analysis sustainable design analysis software is a comprehensive concept-to-detail sustainable building design tool. Ecotect Analysis offers a wide range of simulation and building energy analysis functionality that can improve performance of existing buildings and new building designs. Matterport's 3D media platform lets you create, navigate, modify & share interactive 3D & virtual reality spaces for multiple industries incl real estate, travel, AEC. Aurora Solar develops cloud-based software that enables sophisticated solar PV engineering design, provides workflow management functionality and facilitates sales and customer acquisition for solar installers and financiers. GT Digital Project features design, engineering, and project management in a comprehensive 3D environment specifically tailored for the Architecture, Engineering and Construction industry. Trimble SysQue is a solution for MEP designers and contractors for a seamless workflow from design to fabrication to construction, improves the accuracy and consistency of the models. AECOsim Building Designer is a single building information modeling (BIM) software application for multi-discipline teams. CostX® is used by many different quantity surveying, commercial/residential construction and subcontracting firms around the world because of its superior electronic takeoff capabilities and integrated workbook. Some of the main features of CostX® include: • Measuring counts, lengths and areas with a single click • Supports scanned, PDF and CAD drawings, and also 3D BIM models. • Compare drawings and highlight the changes to identify drawing variations • Live-linked workbooks that can be taken down to ten levels • Ability to hide or show different drawing layers depending on what you wish to work on • Ability to create unlimited rate libraries • Subcontractor comparison/ Bid Day workbook In addition, we have a range of products designed to suit all needs and budgets. 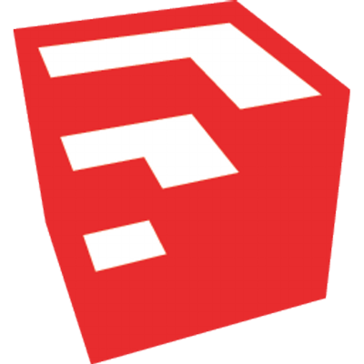 Edificius is an advanced BIM application with powerful design tools that are user-friendly, innovative, and expedient. The software is updated regularly to comply with the latest regulations and to be in line with the most recent technologies. Edificius is the leading BIM design software to have a real time rendering engine that seamlessly integrates with other features such as 3D design, cost estimation, and others. Apart from that, the application provides you with tools for maximizing external spaces for landscaping and garden design too together with full free access to an extensive library of BIM resources, 3D Models and textures. An All-in-One Solution that makes BIM implementation for the AEC professional as seamless as possible with highly advanced design tools and features that allow you to address your interior and exterior design needs. Additionally, the solution offers an essential element that can help you enhance your presentations, such as real-time rendering with HD video, scene photomontage tools (very useful when dealing with home renovation and re-modelling projects). Edificius turns out to be a robust software that has multiple integrated applications such as BIM design with structural calculations using: - EdiLus for structural design and analysis for reinforced concrete, steel masonry and timber structures; PriMus for cost estimating capabilities; CerTus for health & safety; TerMus for energy performance analysis; Impiantus for electrical plant systems design and sizing. On top of that, it can connect with Sketchup and BLENDER as well as with Google Maps to extend its utility even further to pull topographic land profile data from the cloud within a single interface. Because of Edificius’ real-time rendering environemnt, you can instantly see how elements of your design go together on the screen. This means you can save time, as you no longer have to wait for hours to check your object choices and correct possible mistakes. Real Time rendering in Edificius means that the design and validation process continues even while viewing the project with the client. It is also equipped with a RayTracing engine that pushes realism even further. Virtual reality in AEC It’s not enough to see architecture. You need to experience it too. Edificius allows you to Publish and Share 3D BIM projects on the web using the Edificius-VR platform allowing clients and colleagues to view and consult construction documentation relating to BIM projects comfortably from their tablet or mobile phone. VR enabling technology has the promise to provide the AEC professional with the ability to experience project designs before they are built, just as a digital prototype of the final product therefore becoming an important prerequisite for design proposal acceptance. A user-friendly interface will allow architects and engineers to create and interact with their digital designs more intuitively and in an immersive design environment. In conclusion, Edificius truly contributes to making the #BIM philosophy a global success and to promoting the digital construction industry as a central role player in the development of key concepts and policies, such as efficient infrastructures, cities and smart homes, improving technical professionalism, customer satisfaction, and the general image of the industry by cutting unnecessary costs and drastically increasing productivity in an ever more competitive world. GenerativeComponents (GC) enables designers to explore more possibilities, in less time, create better designs, and efficiently create and manage complex geometric relationships. Autodesk Green Building Studio is a flexible cloud-based service that allows you to run building performance simulations to optimize energy efficiency and to work toward carbon neutrality earlier in the design process. Green Building Studio will help extend your ability to design high performance buildings at a fraction of the time and cost of conventional methods. Sefaira Architecture enables design teams to collaboratively and rapidly analyze passive and active strategies to optimize their building’s performance. The SmartBIM Platform enables Building Product Manufacturers to automate and syndicate their BIM / digital product across multiple distribution channels. Tekla BIMsight enables project participants to identify and solve issues already in the design phase before construction. With Tekla BIMsight the entire construction workflow can combine their models, check for clashes, and share information using the same easy-to-use BIM environment. Allplan Architecture is object-oriented 3D design software. Allplan Architecture supports architects and designers from presentation of the initial draft to the production of working drawings and detailed design layouts, as well as construction cost planning. Allplan Bimplus is the ultimate open BIM platform for all disciplines to collaborate efficiently in building projects. BIM model data, information, documents and tasks are managed centrally over the complete building life cycle. Allplan Engineering Building is a powerful BIM tool that is optimized to the work processes of structural engineers in building construction. Due to a direct connection to the cloud-based BIM platform - Allplan Bimplus, Allplan Engineering Building is a complete BIM solution (up to BIM level 3). The software helps you to reduce planning and construction times and comply with cost frameworks. ArCADia 10 EN is a program supporting 2D and 3D design, closely resembles the Autocad program. ArCADia PLUS 10 EN is a software help to create and edit ACIS solids, precise work on full solids, penetration, sums, and differences. Pioneer of 3D modelling since the 90s, ARC + is the ideal tool with which to build your BIM projects. AutoSteel gives lengths for bars with various diameter in the form of measurement sheets. Separate measurement sheets are available for columns, Beams, Slabs, Staircase & Footings. Step footing, pile foundation and such aspects of steel can easily be worked out from this software. Bexel Manager is BIM management software where all analysis are integrated into a single model and single solution. Bricks is an online collaboration app designed by architects who want to reinvent Architecture design and BIM with an Agile approach. Before building information modeling (BIM) software became common, designing buildings and other structures was dependent on 2D drawings. Various departments would have to pass these drawings back and forth between each other. A BIM tool allows users to generate and manage digital representations of characteristics and functions of building structures. In addition, BIM software provides information such as spatial relationships, light analysis, and geographic information. This process can also break down the actual building parts to piece together how they fit into one structure. These elements can include walls, columns, windows, door, stairs, and more. This data can be extracted, networked to, or exchanged to facilitate decision-making regarding the specific building or structure the user is designing. For example, a user can manipulate this information to understand these elements’ behavior before building construction begins. The attributes within these elements can perform actions as specific as automatically selecting and ordering new materials, along with providing cost estimates. Thanks to the data within BIM tools, you can extract various views from a model of a building, and these images are always consistent. BIM solutions have completely changed the way buildings are designed. The introduction of software into this process gives users a number of benefits that manual design cannot offer. Create quickly — Before BIM software, the building design process involved a lot of manual drawings. These solutions enable designers to draft up a BIM model far quicker than by hand. Digital models also include more information than what is in a drawing set. Ultimately, by facilitating a quicker design process, BIM software saves firms money and labor. Design anywhere — The majority of BIM solutions are cloud-based, which means that you have access to your projects details from any device. Multiple project members can sign on from any location as well. Avoid clashes — BIM software can detect clashing elements, such as electrical conduit or ductwork that run into a beam. Repairing the damage from clashes can be very costly. BIM tools have the ability to identify potential issues before they happen. Capture reality — One of the foremost advantages of this software is BIM’s ability to accurately capture reality. BIM solutions can integrate with tools that offer mapping and provide precise images of the earth. Users then have the option to include aerial imagery and digital elevation with the models of their buildings. They can even include laser scans of existing site infrastructure. Reduce errors — As BIM software takes away manual design, it also takes away a significant amount of human error. These tools help identify problems early on in the design and building processes. Improve collaboration across your organization — Sharing digital information modeling for buildings is far easier than passing drawing sets back and forth between colleagues. The cloud-based model of many BIM solutions also means that colleagues working on different parts of the design and building process can access BIM models anywhere, at any time. As many colleagues as needed can review and mark up the model before the building is erected. Simulate and visualize elements of your building — BIM software has the capability to visualize how certain elements can impact your building, such as sunlight during different seasons or the structure’s energy performance. These solutions apply rules based on physics to provide guidance for engineers and other team members involved in building the structure. Sequence the steps of the building process — Constructing a building is an incredibly detailed process. Each part of this progression is a sequence of steps, materials, and building crews. BIM software can animate this entire process, facilitate all of these steps, and deliver a path to the end result. Give a perfect presentation — It’s important clients get a preview of the building being designed. BIM software enables communication of the project scope, steps, and outcome. And as BIM can render images in 3D, you can give your clients the most realistic view of the building possible. While users in different fields utilize BIM software in slightly different ways, the end result is essentially the same—building a large structure. And while there are not necessarily different categories of BIM solutions, there are different versions of these platforms: open BIM and closed BIM. Closed BIM is an environment where everyone involved in the project uses the exact same kind of software and exports files in the exact same format, eliminating the need for conversions. With open BIM, project members may use different kinds of BIM software with neutral file formats. This process has led to a number of open standards that have been developed to further the industry. BIM is geared toward those designing buildings. But many distinct roles contribute to the designing and constructing of these buildings, from planning internal systems to the outside structure of the building. BIM software can benefit those in a variety of career fields. Infrastructure — BIM isn’t just for constructing buildings. It can be used to create large structures, such as bridges and ports. BIM can be used in these instances the same way it is for constructing buildings, namely integrating the plan, design, build, and phases of a project. These tools can ensure that any large structure is resilient to external circumstances, such as weather, before being constructed. Construction ­— BIM software is commonly used in the construction industry. These solutions facilitate collaboration within any team involved in the process and the ability to gather aerial views of your structure. Laying the groundwork digitally ultimately gives a more productive worksite. MEP (Mechanical, Electrical, Plumbing) — BIM software offers a suite of tools to help those in the MEP industry design and estimate mechanical, electrical, and plumbing systems quickly and accurately. These platforms reduce risk and waste, driving better MEP fabrication. BIM solutions also assist in the installation process as well, to ensure these systems fit seamlessly with the rest of the structure they are a part of. Plant design — BIM solutions allow you to design intelligent structures and create piping and instrumentation diagrams that will support factory operations. Whether the plant you are designing specializes in water treatment, food and beverage, or oil and gas, a BIM tool should have the functionality to create designs in any of these disciplines. Structural engineering — Another common use for BIM software is by structural engineers. Users in this field utilize BIM tools to improve the structure of buildings to ensure they are as strong and resilient as possible. Structural engineers can streamline workflows to connect design to detailing, minimize errors, and improve the quality of your structure before it is constructed. Architecture — BIM solutions allow architects to bring their most creative ideas to life. This software supports architects throughout their whole design process. BIM solutions provide tools that maintain model fidelity at every stage of the design process. This means that insight can be gained early on in this process to meet clients’ requirements to deliver the project they need. BIM software offers several features to support the design and building of large structures. Most tools support a multidiscipline design process for a number of different types of structures. Not all products will contain the same feature sets, but the following are common examples across many BIM solutions. Collaboration — Projects that require BIM solutions have many different moving parts with multiple teams, so frequent communication is a must. Every BIM tool should have a feature that enables collaboration among colleagues. Collaboration features may include functionality such as real-time notifications and cross-platform communications. Visualize — Since BIM tools give users the ability to design their structure in 3D, a BIM platform will likely have the ability to visualize outside elements such as how sunlight will hit a building or how energy efficient the building is, as well as detect any potential clashes in the system or structure. This knowledge ensures the structure you are creating runs at peak performance. Sequence steps — Each phase of the construction process is planned out with models and even submodels. BIM software enables users to sequence out these steps with the specific materials and crews needed for every individual phase of the process. Some BIM tools even allow you to animate the steps of your building process. Document storage/data management — When it comes to the design and construction of a building or large structure, different teams will contribute various documents to the project. This might include drawings, customer requirements, phasing plans, and more. BIM solutions should be able to store all this information within the platform and allow multiple users to access it. Cloud rendering — Produce realistic 3D visualizations of your building without integrating any special rendering hardware. Mechanical, Electrical and Plumbing (MEP) fabrication detailing — A number of BIM products offer MEP fabrication detailing—the ability to create an intricate model of whichever MEP system needs to be integrated into the building. Specify the fabrication configuration and load services needed, and you should be able to create the model. Import/export 2D sheets — As 3D designing is becoming the standard, it may become increasingly difficult to design in 2D. However, some BIM solutions offer the option to import/export 2D sheets into the platform, so that you can design as you need and potentially update these 2D designs to 3D. AR/VR and BIM — AR/VR has already begun to seep into the installation field, and for good reason. VR gives you the ability to study extensive 3D models in a whole new way. As AR merges the real world with a virtual environment, users can test to see how a piece fits into the whole of a building, and anticipate clashes early. These capabilities are already huge advantages to BIM users, as they allow users to see their designs from a fresh perspective. They will become more of an asset as AR/VR continues to develop rapidly. Internet of things (IoT) and BIM — Intelligent objects are becoming increasingly more common in homes—so much so that it is expected that IoT will completely change the way that installers and modelers work. BIM tools can house data on IoT applications within the structure being built and make sure it is entirely up-to-date. This means that designing the building can be done with ready-to-deliver products that come straight to the building site. 4D, 5D, and 6D BIM — While many BIM users have been transitioning to 3D platforms, 4D, 5D, and 6D are already on their way. 4D solutions provide a visualization of the construction schedule. 5D and 6D BIM add costs and materials to existing 3D BIM solutions. These new versions of BIM will also add details such as aesthetics, thermal properties, and acoustics to maximize a user’s return on investment. 3D printing — 3D printing has been making big moves in the construction industry, showing great potential for creating incredibly accurate building elements quickly with minimal waste. BIM and 3D printing are a perfect match as prototypes can be made with BIM software and then passed along to a construction crew. Incompatibility with construction partners — BIM is not the universal standard in the construction industry quite yet, and a number of other tools can be used to create building models. As such, there is a possibility your contractors may not utilize BIM software to create buildings and therefore won’t be able to use your models. Lack of expertise — BIM is a relatively new technology that is developing quickly. For that reason, there are a limited number of BIM software experts. Implementing a BIM solution on a project might require investment in additional training and support. Legal ramifications — It is currently unclear where the ownership of BIM data falls. Whether it needs to be protected through copyright laws has also yet to be determined. When someone other than the original creator of a model contributes to the work, licensing issues may come up. And as there are many people involved in the design and construction of a building or large structure, this can potentially cause issues. Cost — Moving to BIM software is not a cheap task. Not only do you have to pay for the tool itself, but you will likely need to invest in training or consulting. It will likely pay off in the long run, but the upfront cost may be a hit to your firm initially, especially if your business is small. A few vertical industry software categories revolving around functions such as building, design and installation should work in conjunction with BIM technology. While some individual products may not integrate with one another, the end goal of these software categories are very similar. Construction management software — This software allows users to oversee offsite construction crews and follow along with their progress. Along with managing the project, other features may include punch lists, time tracking, expense management, and more. Some construction management tools may already offer BIM capabilities. But for those solutions that don’t offer those functionalities, BIM should be able to fill in the gaps. Architecture software — These tools assist architects in visualizing, creating, and viewing building design documents. Architecture software can also assist in the scheduling, planning, and executing of construction drawings for your project, thanks to the collection of 2D design tools this type of software typically offers. BIM solutions can enhance the offerings from this software due to its 3D modeling capabilities and integrations. Some architecture software solutions may offer these 3D functionalities, but for those that don’t, BIM provides the ability to visualize and generate more complex designs. Hi there! Can I help you find the best Building Design and Building Information Modeling (BIM) solutions?